Members of Heavenly Devon Hotels and Restaurants walked away with top awards at the 2017/18 South West Tourism Excellence Awards on Thursday night (Feb 1st). 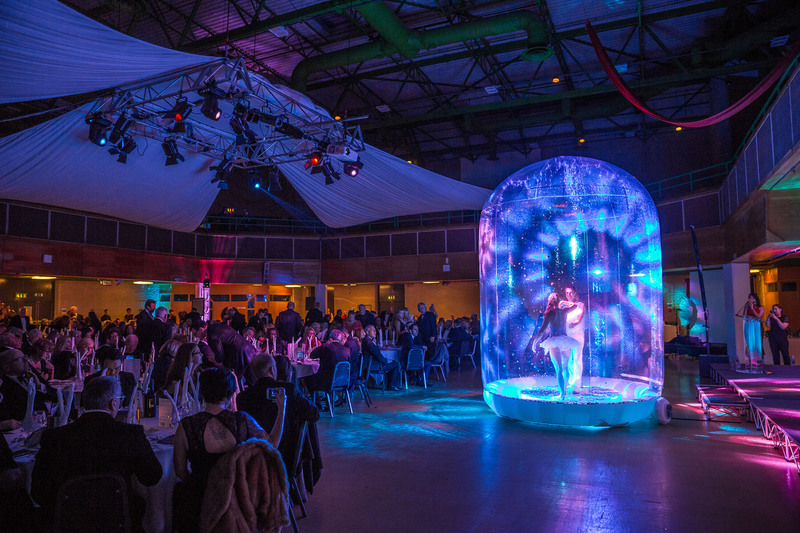 Some of the best tourism businesses in the South West were announced at the South West Tourism Excellence Awards held at the Riviera International Conference Centre in Torquay. Out of the numerous entries and awards, members of the Exeter & Heart of Devon Hotels & Restaurants Association did themselves proud, scooping a total of six awards. Large Hotel of the Year award, sponsored by Vickery Holman, saw both members Bovey Castle and Salcombe Harbour Hotel & Spa awarded Silver. The Bronze award for Small Boutique Hotel of the Year, sponsored by Buckleigh Linen Services, was presented to Cary Arms & Spa, Devon. Cary Arms & Spa enjoyed a double scoop when it picked up Bronze for Spa and Wellbeing Experience of the Year as well. Salcombe Harbour Hotel & Spa also bagged a Bronze in the Spa and Wellbeing Experience of the Year, making them the second member to gain a double award. Lastly but by no means least, the simply spiffing Deer Park Country House Hotel was awarded Silver in the Venue & Business Tourism Award, sponsored by Plymouth Gin. “Considering the rigorous short-listing process including a team of 45 mystery shoppers, our winning members of Heavenly Devon Hotels and Restaurants have done themselves and their region proud and it can be seen as an indication of the quality of the products and services they’re providing”. Robin Barker, of Services for Tourism added: “We have seen a record 647 entries across the South West, and I’d like to commend you – the South West’s leading tourism businesses for your vision, investment, hard work and excellence." The largest annual regional gathering of South West tourism businesses was hosted by BBC news presenter Victoria Graham. One hundred and twenty three different awards in total were presented, after six hundred and forty seven entries were considered.